Hello Ganapathy ...I just came across yout review of my book, and I just want to say thank you for giving it such a thorough and positive review! It makes me very happy to know that other cartoonists find this material helpful. I will keep a close eye on your blog because I can tell from your posts that you love the same kind of art instructional material that I do. 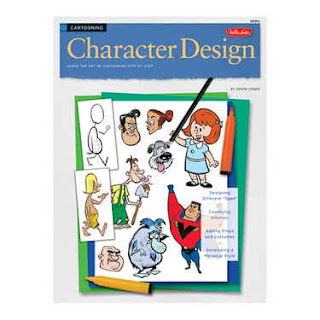 This book, will be of practical, immediate use and belongs to the category of books by Preston Blair, Jack Hamm, The Famous Artist School's Cartooning course and the likes. And the right size (large page format plus small number of pages) is an awesome aspect that would make it very valuable and actually usable for anyone wanting to cartoon. Looking forward to more books of same quality from you.